I was raised in South Texas and am one of four artists in my family. I earned my BFA in Communication Design from Baylor University and an MFA in Painting from UC Berkeley. As a painter I love to express myself through still-lifes. The personal effects of our ‘domestic landscapes’ often establish connections to time, place and experience that can be uniquely personal and oddly universal at the same time. Often triggering memories charged with a vast array of emotions. A personal iconography has evolved from objects that have imprinted me. They form the visual vocabulary for narrative in my work; providing an approachable means to symbolically express observations of human nature. I hope others connect with my work and sense a response to the familiar as well. Occasionally I’m compelled to portray the beauty of a Texas sky, or portrait of a loved one, but find I always return to still-life. My pieces have received awards and been included in regional & national exhibitions since 1986, including such venues as The Women’s Museum of Dallas, the former Laguna Gloria Museum in Austin, Berkeley Arts Center, San Antonio Museum of Art, and the San Francisco MOMA, Artist’s Gallery. In addition, my paintings reside in numerous private collections throughout the United States. I have taught at the college level since the early nineties. I love the interaction with students; encouraging their creative process through the development of techniques & self-expression. 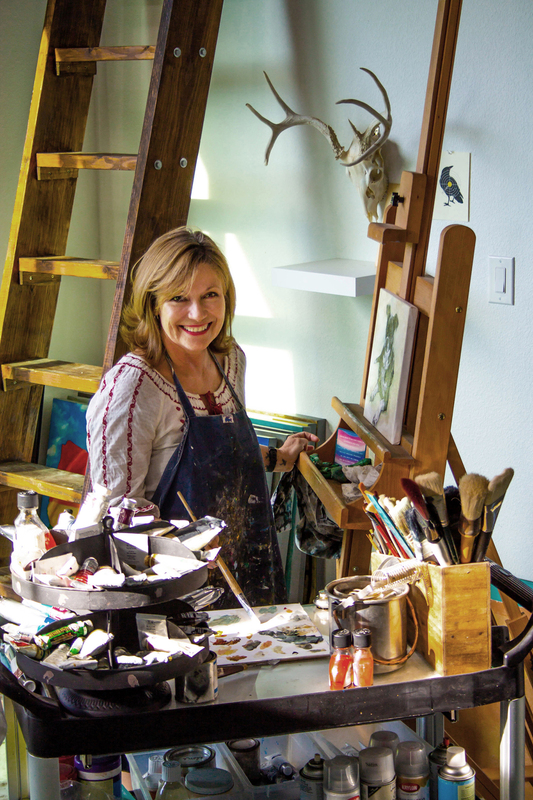 I currently teach Drawing and Painting at Collin College where I have received the Vision Award and Outstanding Associate Professor of the Year. I appreciate nurturing native Texas plants on my ‘little’ acre, gatherings with family & days in the studio with my three dogs.